Hello and welcome back to day three of #Blogtober17, don't forget to go and read all about me, and all about her from the last two days. 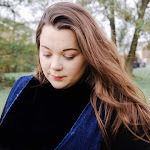 I am really enjoying taking part in this challenge and even come across some amazing new blogs and even had a few extra likes on my facebook page (*so a big high five to you all). So as part of today's prompt is focused on cars. To begin with I did find this one a bit of a challenge because I need to share something with you, I hate driving! No, I literally hate driving and the thought of getting behind the wheel scares me. Now I know what some of you may be thinking. But it is just something that I have always struggled with! I passed my test on my second attempt back in 2015 and if I am being completely honest I haven't really got behind a wheel very much since then. I guess you kind of say that it's become a phobia, and most phobias have something to do with being hurt or danger and for me and driving I am the danger! I know that my fear of driving is all down to lack of confidence in my self, not being in control or the fact that I like to do everything perfect. So my solution to all these problem, was to avoid driving at all costs. I cannot believe the impact this fear of driving has had on my lifestyle. My poor husband has been so patient and supportive, he runs all the errands at the weekends, most of our appointments he will drive us to, even blogging errands and meet ups. Basically anything that I wouldn't be able to do by public transport. But he has never once pushed me into driving, because he knows how much it scares me, nothing but supportive. Every so often he will try and encourage me to get behind the wheel, and as soon as we are past five minutes or so I seem to deal with the self-doubt quite well. Many people just don't understand my feelings, they tell me that I just need to get behind the wheel and get on with it. To some extent I know that they are right, but it's not just me that I have to think about when I am behind the wheel, my daughter is with me all the time so I don't want to put her in any kind of danger. I can drive, it's not the actual driving that make scares me - it's everything else. I guess this comes down to my anxiety, but some days are better than others but sometimes driving can just be too much for me it's best to know when too much is too much. I do feel my lack of confidence with driving has something to do with my first instructor, she was a complete idiot! One of my biggest regrets was finding her phone number on google! I just thought her whole attitude to driving and learners was appalling, she was supposed to be encouraging and supportive, that she was not! Everything that I would take my time with, or completed a manoeuvres wrong, she would literally shout at me, take the steering wheel or ask me to pull over to have another go. Most lessons with her would end with me being on the brink of tears because she was just so awful, thinking about it now I probably should have reported her. Especially when I think about the first couple of lessons, I should have stopped learning with her as she was always on the phone answering calls, talking about her private life which at first I didn't mind, because it kept the nerves at bay, but I didn't really wants to know all the details of her divorce. So after having a few lesson with her, I quit! After I got married and became pregnant with my little girl I knew that I needed to pass my test and so my husband kindly booked some more lessons with another driving school and with the nicest instructor, he was so calming, never shouted, never grabbed the steering wheel. I have to say, he was pretty great instructor and before I knew it I had passed my theory and my driving test was booked! On test day my nerves got the better of me and I failed, at the last roundabout before going into the test centre, the examiner needed to use his breaks. I know people who fail always say that they shouldn't have failed, but there was absolutely no need for him to use his breaks. But a couple more lessons and my husband booked another test. I was so nervous the second time around. The examiner was lovely, but she did make me nervous. Before we got into the car, she asked me to pop the bonnet and I completely forgot how to open it, I thought well this was a waste of £62 because I am going to bloody fail. My instructor was coming out to help, but just as he was about to tell me - I remembered how to open the bonnet, stupid show me tell me questions. So we hit the road and driving back into the test centre, I felt really confident and with only a few minors I passed. I couldn't believe it! It took a few days to get me on my husband's car insurance but we went out straight away. Came across a mini roundabout, stalled on top of the roundabout, yes on top, other drivers started to beep me and I completely lost it! Driving is something that I will probably always hate, when I need to drive I will. Whenever I am given the option to drive or not, I will always say no as my husband is a far better driver and I prefer being chauffeured about. I know that this fear comes down to confidence. I even found myself asking my husband to actually buy me a car the other day as my daughter is three years old and she will need to to take her out and about for parties, classes or play dates. So I know that I need to push myself behind that wheel, because if I don't, I fear that I never will! 26 comments on "My Hatred For Driving and Why It's Not For Me"
It's so good to see that I am not the only one. Driving is a big thing for me and it's sounds as if you had quite the scare, which is completely understandable. Perhaps when you feel you are ready have a couple of lesson and go from there! No I haven't. But that's such a good idea! Perhaps that can ease the nerves! Aw thank you. Driving is just not for everyone, I hope this post hasn't terrified you too much. Everyone is different! Hopefully if you ever decided to learn, you'll be fine and get into the swing of things quickly! I really hope it's some time soon, I will get behind the wheel. My my emotion and nerves tend to get the better of me! I passed at 27! It's always hard to push yourself out of your comfort zones sometimes! I totally get this. I used to drive the length and breadth of the country, but since I've stopped working my confidence has totally gone. I have to force myself to do it now. Oh no, it's so hard to get back into the driving seat sometimes! It's been about a year or so for me! Not driving really clips one's wings, but some people manage quite well. But you'll probably get over your phobia, if you don't force it. I really hope I can get over it one day, it just may take some time! 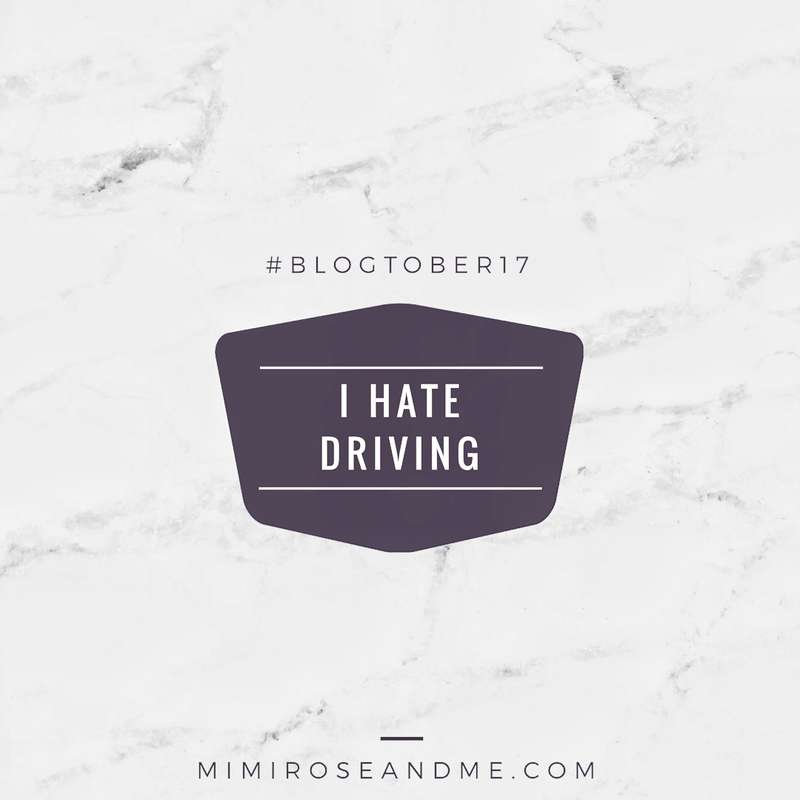 I'm a non driver and my post for BlogTober didn't touch on my driving fears but I can recognise loads of them from your post. My first instructor put some much fear and doubt in my head, I think I am scarred for life! I lot of people are scared to drive, don't feel like you're the only one, I'm quite opposite and actually a really confident driver, maybe too confident because I've had a few minor crashes. It may be because I don't have much choice though, I live in a village with no shops and the buses are limited and I work in a place only accessible by car. My suggestion would to be to try encourage yourself to just get out there and do it, it's easy said than done I know but you will over come your fear the more practice you have. I'm ok once I actually get in the car and set off, it's just the initial get up and go! So glad, I am not the only one! I don't mind driving, just parking! Have driven to Manchester (5 hour drive) and Southampton 1.5 hour drive) in the last fortnight, yay me! Haha, I'm terrible at parking! I'm not a fan of driving and understand your anxiety. Nerves really used to get the better off me and it took me 4 times to pass my test. I have to drive on Jersey because the public transport is pretty poor. But I hate the narrow roads and the huge tractors that come zooming towards you! I live in the countryside, so I understand the frustration of tractors! I need to because the bus is extortionate.